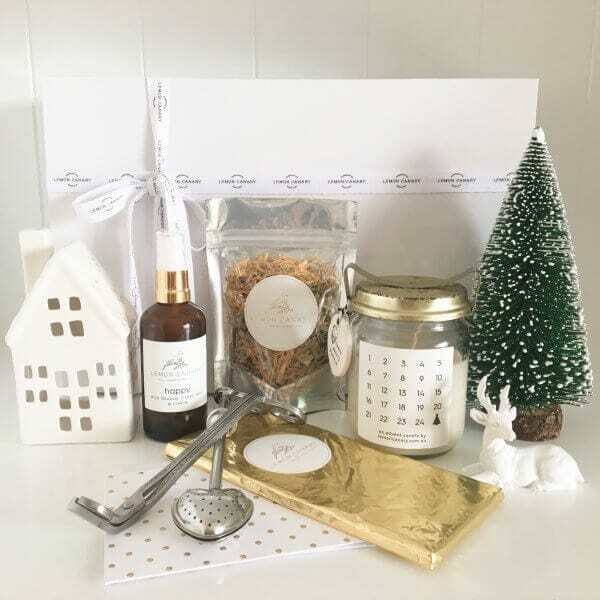 A Christmas gift box to encourage and spread happiness. 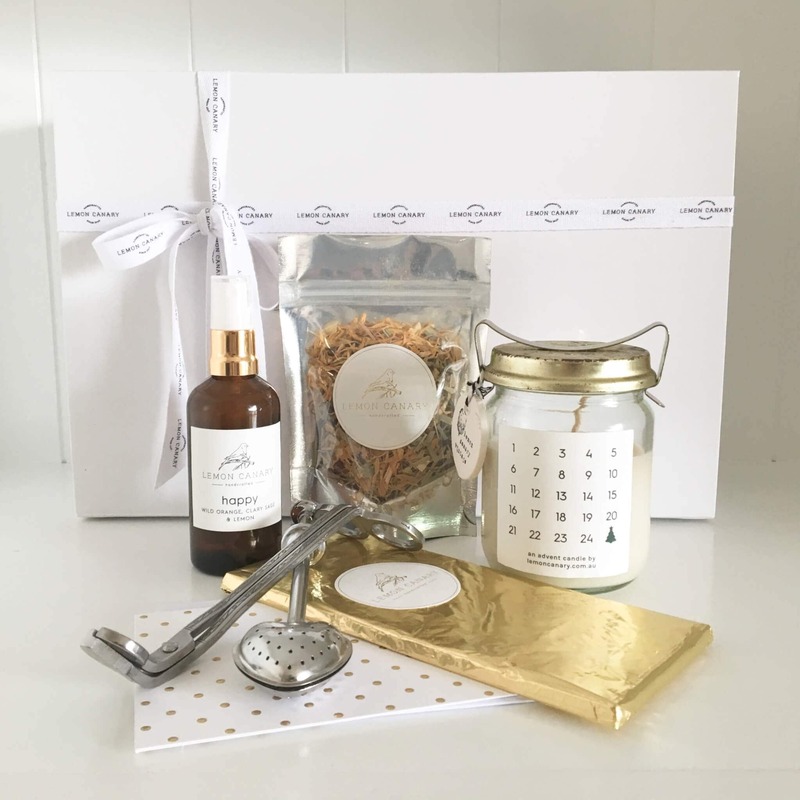 Featuring one of Lemon Canary’s Christmas Advent vintage candles and wonderful items from our organic Happy range. *Christmas ornaments pictured are not included in this hamper.